Admit it: You were feeling pretty lonely Thursday mornings. Lying in bed past 5:30AM with a nasty case of FOMO, like, "Where all the Hi-Fives at?" Well, the rumors are true, and it turns out The Rise: Kings of Queens are meeting EVERY THURSDAY at 6:30AM at MacDonald Park in QUEENS! 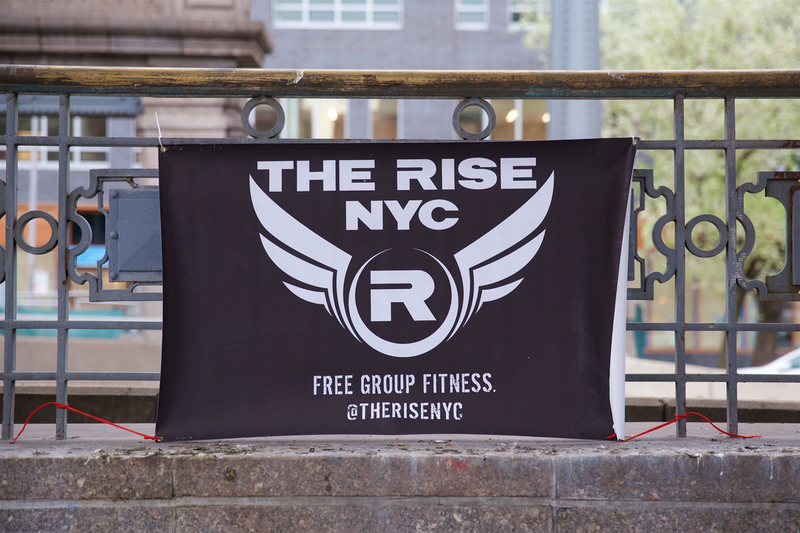 It's the same awesome Rise workout, but in NYC's best borough. All of our workouts at The Rise have the same goal: Using public space and our own body weight to build both aerobic fitness and strength. That means lots of burpees, pushups, and core body exercises. 30 minutes of exhausting, brilliant, sweaty friendship. As always, these workouts will push you, but you can expect some goofball antics, too! Join us after the workout for some coffee before you go on with your day. Martha's Country Bakery is just down the block and the MVP - or crowned King - of the week gets a coffee on us!